When the weather has become about as indecisive as a woman in an ill lit dressing room trying to decide between two different denim washes, you need a shoe that suits your mood. 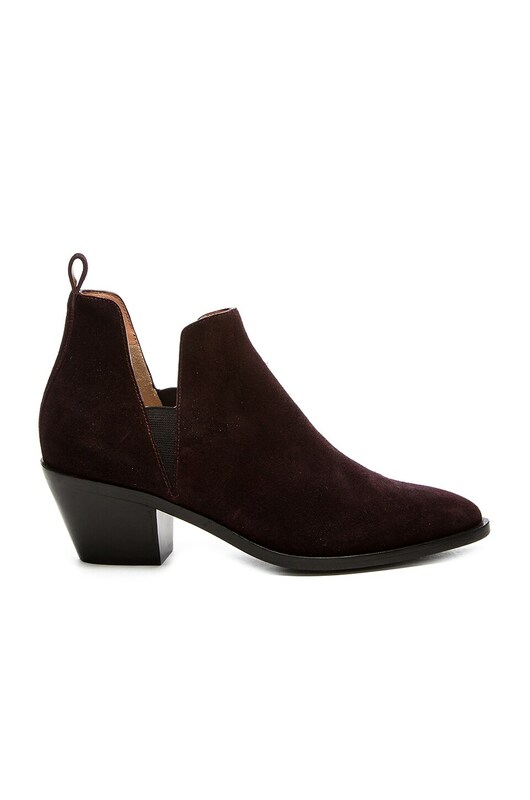 The Siegerson Morrison Belin Bootie is a perfect anecdote to the everchanging temperatures of early fall. This is around the time I start to feel sad for those in San Francisco who deal with bipolar weather ten months out of the year. When it’s time to trade in the sandals, but you aren’t quite ready to dig the big boots out from underneath the bed’s storage boxes, this bootie proves to be a clever transition for your toes.